The landscape of Northwest Vermont‘s property market continues to show healthy growth, with prices and sales rising at sustainable rates. Our market is likely to continue to see similar trends within the next year, given growing local and national economies and low mortgage rates. One issue continues to shape the property market in our region: tight inventory levels. Popular locations such as Burlington are still struggling to meet demand from buyers, with fewer homeowners opting to sell their properties during the first nine months of 2016 than in the previous years. The tight inventory levels are also boosting home prices, especially for sought-after towns in Chittenden County. As a result, some buyers in the market for homes below $350,000 are extending their searches into neighboring counties with more affordable price points, such as Addison and Franklin counties. With those dynamics in play, it may be no surprise that the median sale price rose in each of our region’s four counties. Median sale prices increased 3% across the region, while the number of sold units rose a healthy 4%. Local businesses including transportation broker A.N. Deringer Inc. and institutions such as the University of Vermont Medical Center are continuing to hire. New professionals continue to relocate to our region, spurring demand for both residential properties and rental apartments. The unemployment rate in Vermont stood at 3.3% in August, among the lowest in the country. Still, several economic concerns may be making consumers feel less confident, at least for the moment. Consumer confidence slipped to a 2-year low in early October, with the pending presidential election prompting some unease among consumers. Concerns about the strength of the U.S. and international economies have prompted the Federal Reserve to postpone interest rate increases. Borrowers currently are enjoying record-low mortgage rates as a result, although economists believe the Fed will institute rate hikes later this year or in early 2017. As part of a buyer’s due diligence, we recommend that they discuss the potential impact of Act 46, the education governance reform law passed last year that calls for larger school districts, school board members and local lawmakers. The law is prompting some communities around the state to evaluate school mergers. We find all our local schools are open to providing consumers with the information they need to make good choices. Despite inventory levels, our Realtors note that buyers are increasingly choosy about properties. Well-priced homes in good condition are selling quickly, but homes that need renovation work may take longer to sell. Before listing, sellers should turn their attention to deferred maintenance and consider “smart home” upgrades such as Nest’s thermostat, which can help make your home stand out. Tight inventory levels in the region’s most active real estate market are leading to higher home prices while moderating the number of residential sales. Through September, the number of home sales was unchanged, while the median sale price rose 4%. Buyers on the hunt in the $200,000-300,000 price range may find it challenging, especially as new home listings declined by 8% and 25%, respectively, in Chittenden County and its biggest city, Burlington. The property market has about 7 months of available inventory, down from about 9 months a year earlier. Home buyers are turning to Franklin County as an alternative to higher-priced Chittenden County and as local employers such as A.N. Deringer ramp up hiring. While new listings have declined by 10% from a year earlier, the county has more than 11 months of available inventory. The number of sold listings jumped 22% for the first nine months of 2016, while the median sale price rose 7%. Properties located near I-89 are selling at higher price points and more quickly than those located in the eastern section of the county. Towns such as South Hero are popular with second-home buyers and professionals who commute into other Vermont counties. 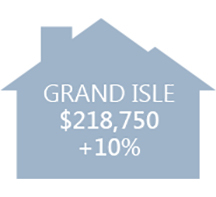 Grand Isle’s median sale price rose 10%, while the number of sales rose 2%. About 20 months of inventory remains available, more than any other county. Because Grand Isle is Northwest Vermont’s least active county for real estate transactions, a small number of sales can have a relatively large impact on pricing trends. Homebuyers are turning to Addison County as an alternative to higher-priced Chittenden County. Retirees and professionals are seeking out lakefront and mountain-view properties for second homes. While the number of residential sales is unchanged from a year earlier, the median sale price has increased 4%. The county has more than 1 year of available inventory, little changed from a year earlier. The rental market remains competitive despite an increase in newly constructed apartment buildings. Because available apartments are leased quickly due to strong demand, our Rental Specialist recommends starting an apartment hunt no more than 30 to 45 days before a move. The burst of new construction is providing more choices to renters, such as whether to opt for a newly constructed apartment or an older home in neighborhoods such as Burlington’s Old North End, according to our Rental Specialist. Newer buildings may be slightly more expensive, but also can include modern amenities and conveniences, such as fitness rooms and pet friendly policies, that older properties do not. Monthly rents are stabilizing, thanks to the slightly higher vacancy rates and newly constructed apartment buildings. The rate of increases should moderate in the near future, after several years of rates increasing at more than 2% annually, Allen & Brooks notes. Renters should plan to begin their search for a new apartment about 30 to 45 days before they move, according to our Agents. Finding a rental can be competitive, even with the higher vacancy rate. Revitalization is bringing new residents to older neighborhoods and towns, such as Winooski and the Old North End of Burlington. Winooski has earned a reputation as “The Brooklyn of Vermont” because of its excellent new restaurants and more affordable rents than neighboring Burlington. Both areas are seeing new construction, such as the Silversmith Commons and Maiden Lane Apartments in the Old North End and Riverrun in Winooski. The county’s vacancy rate is 2.1%, significantly below the national average of 4.4%. As with the residential market, the multi-family market is witnessing strong demand tempered by lower inventory levels. That’s pushing up pricing in some markets, especially sought-after towns such as Burlington. The vacancy rate in Chittenden County has eased somewhat from record low levels in previous years, although it still remains below the national level. At the same time, local businesses such as Dealer.com and GE Healthcare continue to hire, bringing professionals into the region. Those dynamics are supporting a vibrant market for rental properties, which in turn draws investors to the multi-family investment market. During the first nine months of the year, 91 multi-family properties were sold, little changed from a year earlier. Our Realtors note that demand has been tempered by fewer new listings coming on the market, which is limiting the available inventory of investment properties. Because of that, well-priced properties in desirable locations are selling quickly. Inventory continues to be tight in Burlington and Winooski, with the latter experiencing a surge in interest from renters because of its revitalized downtown area, which has brought new restaurants and shops to the former mill town. New listings in Burlington, which is the most active town for multi-family homes, have declined by 13% this year. New listings in Burlington, which is the most active town for multi-family homes, have declined by 13% this year. Our Realtors are also witnessing tight inventory levels in Winooski, which is drawing more interest because of its revitalized downtown. Younger buyers with student loans may end up in the rental market for more years than older generations because of their loan repayments. Allen & Brooks is also forecasting increasing demand from seniors for rental housing, as many decide to scale down and sell their single-family homes. A stronger economy is prompting employers such as The University of Vermont Medical Center and Allscripts to hire employees within Chittenden County. That’s bringing more out-of-state buyers into the market, and providing local residents with the financial stability to either consider making the jump from renting to home-buying or moving into a new home. Inventory levels remain the chief issue for homebuyers, with the number of new listings declining by 8.3% from a year ago. Finding desirable homes in mid-range prices can be especially tough, although buyers looking for executive-level homes and luxury estates will have more choices. The county has about 7 months of available inventory, down from 9 months a year earlier. Buyers on the hunt for properties below $400,000, considered the sweet spot in Chittenden County, may struggle because of a lack of choices, especially in sought-after neighborhoods. As a result, our Realtors are finding that attractively priced homes in good condition may receive multiple offers and sell quickly. Depending on a buyer’s price range and desired location, some house-hunters may need to consider homes that need some work, or search for properties in towns and counties with more affordable prices. Across the city, new listings have declined by one-quarter from a year ago. The market in Burlington has more than 6 months inventory on hand, little changed from a year earlier. 05401, or Burlington’s Old North End, Hill District and South End neighborhoods, is the top-searched zip code for Northwest Vermont real estate searches. More buyers are extending their search to the New North End, where houses typically have a lower price point than in the South End or the Hill District. The proximity of the bike path and several beaches are appealing to home buyers. Home buyers are gravitating toward lower-priced homes. The median residential sale price in the third quarter was $254,000, or about 2% lower than a year earlier. Sold properties are moving faster than a year earlier. Homes are selling after an average of 53 days on the market compared with 62 days a year ago. South Burlington appeals to buyers who like the proximity to Burlington and the range of price points. The town has a diverse condominium market, as well as a range of single-family housing options. Pricing in South Burlington rose 2% during the first 9 months of the year, while sales are little changed from a year earlier. South Village, a community planned around walking trails and a farm, is popular with buyers moving from out-of-state and professionals who are seeking newly constructed homes. Nicknamed “The Brooklyn of Burlington,” Winooski’s revitalization, bringing new restaurants, condominium developments, and stores, is attracting professionals to this former mill town. Inventory has eased slightly, but still remains tight. There are now about 6 months of inventory on hand, compared with about 5 months a year earlier. Homes are selling after an average of 20 days on the market, the fastest rate in at least three years. The median sale price has gained slightly, rising 1% during the first nine months of 2016. Thanks to stronger hiring by Chittenden County employers, buyers are returning to Shelburne. Sales in the town jumped 62% in the first three quarters, while the median sale price also gained. Available inventory has declined to 6 months, compared with a year’s worth of inventory at the same time last year. Homebuyers are returning to the higher-end properties, helping to boost sales of houses in the $500,000 to $900,000 range, our Realtors note. Demand for multi-family homes remains strong, although inventory has tightened. There are about 10 months of available inventory in Burlington, the most active market for multi-family homes, compared with 15 months a year ago. Within Chittenden County, the median sale price jumped 22%, while the number of sales was little changed from a year earlier. For a longer discussion of trends, please see our multi-family section in the Fall Market Report. Some professionals are opting to buy land and construct custom-built homes. Demand for land increased, with sales jumping 8% in the first nine months of the year. Still, buyers opted for lower-priced lots, with the median sale price declining 9% to $119,500. Franklin County is increasingly popular with first-time homebuyers and professionals who are seeking more space for their money than in neighboring Chittenden County. With gas prices remaining stable, the county is a more affordable option for professionals who commute into Burlington or other locations than in previous years. Franklin County has more than 11 months of inventory on hand, although that marks a decline from a year earlier, when the market had almost 16 months of inventory. The median sale price of $204,900 is the lowest among the four counties in Northwest Vermont. Pricing and demand varies considerably within Franklin County, however. Our Realtors note that buyers are gravitating to towns on the western side of the county, such as Georgia and St. Albans, because they’re closer to I-89 and attractive to commuters. Towns on the eastern side of the county are seeing both lower pricing and demand. Homes are selling at about 97% of their listing price, illustrating buyers’ demand for moderately priced housing in the region. Demand is driving up prices. The median sale price through September jumped 7% to $204,900, while the number of sales rose 22%. Sales in St. Albans City jumped 47% during the first 9 months of 2016. St. Albans Town is also benefitting, with sales rising 26%. Buyers are also turning to Georgia and Fairfax, which both offer quick access to I-89. Residential sales in Georgia rose 41% for the first 9 months of the year, while Fairfax’s sales jumped 10%. Land purchases are heating up. A stronger economy and tight inventory are prompting some professionals and retirees to buy land and custom-build homes. The number of land sales jumped 59% this year through September, while the median sale price was little changed at $70,000. Stronger multi-family sales. While Chittenden County is the biggest market for multi-family properties, Franklin County has a smaller, but growing, share. The number of sales in the county rose 13% to 18 transactions, although the median sale price slipped 19%. The residential property market in Grand Isle County tends to split between high-end waterfront properties and mid-priced residential homes. Our Realtors have noted a slow-down in demand through the summer and into early fall, which could be due to a number of factors. Because Grand Isle is the smallest real estate market in Northwest Vermont, a handful of transactions may have a large impact on the county’s pricing and demand trends. The county has 20 months of available inventory, slightly more than a year earlier. More than 300 properties remained on the market in the third quarter, a slight increase from a year-earlier. Our Realtors noted that sales slowed in the summer and early fall, possibly because of the water issues. The county has recorded only one luxury sale this year, an $815,000 waterfront property with views of the islands and Green Mountains. Demand for higher-end properties may have been hurt by the water quality issues noted above. Seventeen land sales were recorded in the first 9 months of 2016, an increase of 89% from a year earlier. The median sales price rose 22% to $73,333. Some buyers are opting to purchase lots and construct custom-built homes, rather than searching for pre-existing inventory. Some areas of the islands, such as Alburgh, have been on alert for blue-green algae, according to the Vermont Department of Health. Algae can develop quickly into large blooms, which can be harmful to pets. After a dry summer, the water level in Lake Champlain has dropped a foot below normal, which has land-locked some docks, according to the Burlington Free Press. The current water level is the lowest since 2001. 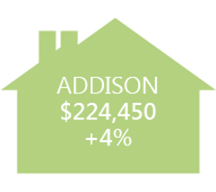 With tight inventory in Chittenden County, more buyers are extending their property searches to Addison County. The county is also experiencing demand for high-end properties, such as lakefront estates, and from professionals who are moving to the county and seeking mid-priced properties. Local employers such as Middlebury College and UTC Aerospace are hiring, helping to keep market trends steady. The Addison County median sale price rose 4% during the first 9 months of the year, while the number of sold units was unchanged from a year ago. The county has about 11 months of available inventory, little changed from a year earlier. First-time homebuyers are looking for homes in the sub-$250,000 price range, although our Realtors note that this segment has the most competition from buyers. Sold properties are requiring an average of 115 days on the market, down slightly from 122 days a year earlier. 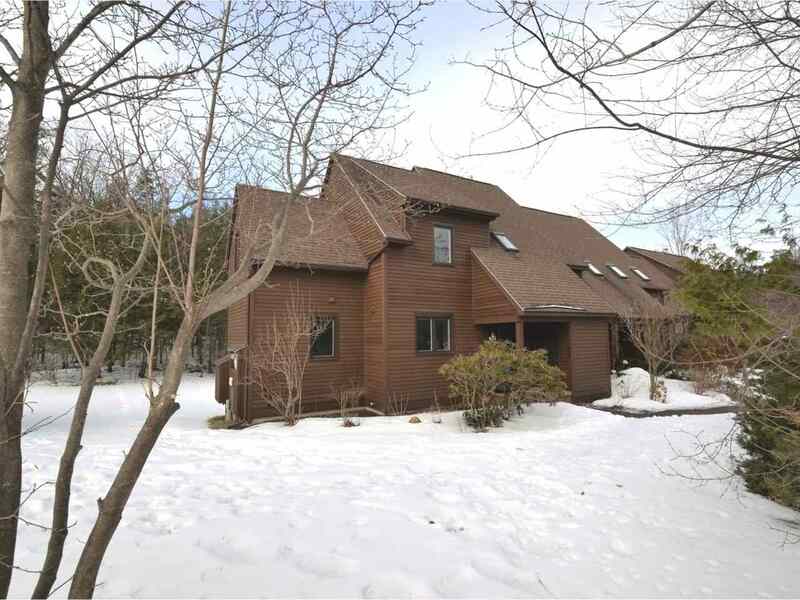 Buyers are interested in living near towns, such as Middlebury and Bristol, as well as close to ski areas such as Sugarbush and the Middlebury Snow Bowl. Even though Middlebury remains one of the busiest towns for sales, transactions declined 38% during the first 9 months of the year. Pricing slipped 9%, as buyers sought lower-priced inventory. Sales in Ferrisburgh jumped 43%, although buyers sought out slightly lower-priced inventory. The median sale price slipped 3% to $266,500. Towns such as Vergennes and Bristol continue to attract buyers who want to live near amenities and each town boasts a great mix of restaurants and stores, our Realtors note. The median sale price in Vergennes jumped almost 10% in the third quarter. Inventory in Bristol has declined from 17 months a year ago to about 11 months today. Land sales have jumped 64% this year through September. The stronger economy and tighter inventory levels are prompting some professionals and retirees to custom-build homes. The median sale price for land rose 15% to $84,000. The county has recorded five luxury sales of more than $800,000 this year, making it the second-busiest county for high-end sales after Chittenden County. With lakefront property and mountain estates, luxury buyers have plenty of options. The luxury market in Northwest Vermont offers more depth of inventory than mid-priced homes in the region, although high-end buyers looking for lakefront property in the $800,000 to $1 million range may find fewer choices than in previous years. Nevertheless, the luxury market remains tilted toward a buyer’s market, especially in higher-priced segments. Some homes require years of marketing before attracting a buyer, which has prompted sellers to become more flexible in their expectations. Our Realtors note that high-end buyers are seeking either lakefront property or a significant view of the mountains or lake. Luxury properties without excellent views or waterfront access may have more difficulty in attracting buyers. The luxury market is drawing buyers who want second homes in Vermont, as well as some professionals who work in the region or who are relocating because of lifestyle. Shelburne and Charlotte are among the towns that are popular with high-end buyers. Buyers continue to seek properties with access to Lake Champlain, although the market has tilted toward Chittenden and Addison counties and away from Grand Isle. The three highest-priced sales were homes situated on the lake. Higher-end inventory in Grand Isle has been slower to attract buyers this year, possibly because of concerns about water quality. Blue-green algae blooms have been a risk in some areas, while the low water level in the lake this summer may be an issue as well.